« Understanding The Basics Of Colorado’s 2014 Marijuana Laws – How Far Can I Go? Colorado Prescription Fraud Charges – Understanding Why People Become Addicted To Painkillers And Heroin – The evolution of overdose deaths in Colorado due to prescription drugs originates from easily obtained prescriptions for such serious and highly addictive drugs as oxycodone or percocet. Most prescription drug overdoses are the result of accidental overuse of these very powerful opiates. The “secret” drug dealers that are wreaking havoc on our state wear white coats and receive financial incentives to over prescribe the powerful – but legal – opiates of oxycodone, vicodin or percocet. By far – deaths caused by overdoses in Colorado have not been caused by Meth, Cocaine or Heroin, but the over-prescribed prescription drugs. Prescription drug abuse is considered the fastest-growing drug problem in the United States. In recognition of the problem, the Colorado state legislature granted immunity to individuals who – when they come upon someone who has overdosed – call 911 on their behalf. In the past, many have died because the witnesses to overdosing victims were afraid to notify authorities of someone in trouble for fear that they – or the victim of the ovedose – could be charged with a criminal offense. What permeates the problem is the lack of public understanding as to just how powerful these prescription drugs are. The common belief is that this “medicine” is safe regardless of the dose or the frequency of the dose. This ignorance and easy availability of the drugs creates a deadly combination. Prescription opiates are highly addictive. Colorado citizens pop these pills without a complete understanding of just how addictive they are and without paying attention to the dosages or timing or other substances they are putting in their bodies at the same time as taking the “prescribed” medication. Young chldren and teenagers have easy access to these pills from their parent’s medicine cabinets. Adults “pill shoppers” get the drugs from “helpful” primary care physicians who do not ask questions or from emergency rooms where doctors prescribe these powerful painkillers just to cover their bases. They are prescribed often with little medical screening other vague complaints about pain. It is well known to those in the criminal justice system – that lifetime addictions to these powerful painkillers can innocently begin with a serious surgery – an accident requiring long term prescription pain killers – or even chronic painful conditions compelling the overuse of these “legal” opiates. Individuals given a valid prescription can quickly become addicted and tolerances to the prescription drugs increase over time as people become physically dependent upon them. More and more of the “scripts” are then necessary to get the same results. This situation creates addictions that often can ead to acts of desperation such as crimes involving prescription fraud or to addictions to illegal drugs such as Heroin purchased cheaply on the street. It is also a well known and accepted fact that the majority of Colorado Heroin addicts started on prescription opiates. “Pain pills” are chemically nearly identical to the drug Heroin. Both are opiates that depress the central nervous system. But the chances of overdosing on pills is even greater than the illegal drug as they a form easily taken in larger and larger quantities. 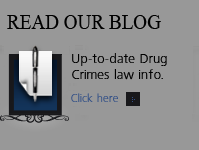 The Colorado state legislature has recently taken a more intelligent approach to the so called “War On Drugs.” The reduction of penalties for simple possession crimes – the focus on treatment rather than punishment – and a renewed understanding of the addictive qualities of both legally prescribed or illegally obtained prescription drugs, demonstrates a “new compassion” for those addicted to these substances among us. 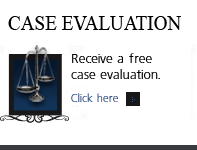 ABOUT THE AUTHOR: H. Michael Steinberg – Email The Author – A Denver Colorado Criminal Defense Lawyer – or call his office at 303-627-7777 during business hours – or call his cell if you cannot wait and need his immediate assistance – 720-227-2277. 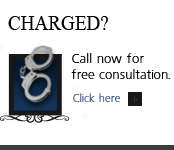 Please call H. Michael if you have any questions about the topic – in this case – Colorado Prescription Fraud Charges – Understanding Why People Become Addicted To Painkillers And Heroin.